Welcome to the OFFICIAL home of the The Plate Number Coil Collectors Club (PNC3). We're glad you decided to seek us out and invite you to join us online, in person at shows and as a member. Information on the club's structure, dues and benefits can be obtained from the menu at the left. Please bookmark this page and check back often for the latest Plate Number Coil news and more information about PNCs and our club. We hope that the information provided herein will help in your enjoyment of the hobby. 4/21/19 - The May, 2019 issue of Coil Line has been posted on the "Members Only" section of the website, under the 'Current Issue' bar. Those members who elected to receive Coil Line electronically will receive the URL soon. Members can also access the current issue, and all past issues of Coil Line through the "Members Only" section of the website. Members who have not yet activated their online account are encouraged to do so. Contact the Webmaster if you encounter any problems. Non-Members have access on the website to all Coil Line issues except the last three years. Access past Coil Line issues by clicking the "Reference" button on the left, and then clicking "Coil Line Archives". 3/23/19 - The April, 2019 issue of Coil Line has been posted on the "Members Only" section of the website, under the 'Current Issue' bar. Those members who elected to receive Coil Line electronically will receive the URL soon. Members can also access the current issue, and all past issues of Coil Line through the "Members Only" section of the website. Non-Members have access on the website to all Coil Line issues except the last three years. Access past Coil Line issues by clicking the "Reference" button on the left, and then clicking "Coil Line Archives". 2/24/19 - Several new finds have been added to the "Purple Machine Cancels" listing, which can be found in the 'Reference' section. 2/22/19 - Recently a few Board members and other club officials have received an email, supposedly from club President Tom McFarland, asking them to wire a sum of money for some unspecified club business. THIS IS A SCAM. The sender apparently spoofed Tom's email address as the sender and used other email addresses from our web site as targets to send the request for money. We're putting this warning here in the unlikely event that other members receive a similar request. Repeat, it is a scam. No officer of the club would ever ask that money be sent this way. 2/20/19 - The March, 2019 issue of Coil Line has been posted on the "Members Only" section of the website, under the 'Current Issue' bar. This issue contains a Spring Auction Bid Sheet. Bids 'must' be in the hands of the auctioneer by Saturday, March 30th. There is also an order form from the Catalog Committee for new publications and re-offered publications. In late January the United States Postal Service announced another new coil stamp to be issued this year. Dubbed by USPS as the Star Ribbon, this Forever First Class rate stamp depicts a five-pointed star made of folded red, white and blue striped ribbon on a white background. It will be issued March 22 in coils of 10,000 for use by business mailers. A pane of 20 is also planned. 1/21/19 - The February, 2019 issue of Coil Line has been posted on the "Members Only" section of the website, under the 'Current Issue' bar. 12/25/18 - The January, 2019 issue of Coil Line has been posted on the "Members Only" section of the website, under the 'Current Issue' bar. This issue contains a Membership Information update and Dues Renewal Form. Please user this form if you have not already paid your 2019 dues..
11/25/18 - The December, 2018 issue of Coil Line has been posted on the "Members Only" section of the website, under the 'Current Issue' bar. This issue contains a Membership Information update and Dues Renewal Form, plus the latest Auction Results, plus an Auction Consignment Form for the spring auction. Deadline for consignments is January 15, 2019. 10/25/18 - The November, 2018 issue of Coil Line has been posted on the "Members Only" section of the website, under the 'Current Issue' bar. This issue contains a Fall Auction Bid Sheet for late bidders. Bids 'must' be in the hands of the auctioneer by Wednesday, October 31st. There is also a 'One Time' order form from the Catalog Committee for past 'Annual New Issues' reprints. Those members who elected to receive Coil Line electronically will receive the URL soon. Members can also access the current issue, and all past issues of Coil Line through the "Members Only" section of the website. Non-Members have access on the website to all Coil Line issues except the last three years. 9/30/18 - The October, 2018 issue of Coil Line has been posted on the "Members Only" section of the website, under the 'Current Issue' bar. This issue contains the Fall Auction Bid Sheet. Bids 'must' be in the hands of the auctioneer by Wednesday, October 31st. 8/25/18 - The September, 2018 issue of Coil Line has been posted on the "Members Only" section of the website, under the 'Current Issue' bar. This issue contains a list, on the inside of the front page, of the new officers who will take office on September 1, 2018. 7/25/18 - The August, 2018 issue of Coil Line has been posted on the "Members Only" section of the website, under the 'Current Issue' bar. This issue contains an 'Auction Consignment Sheet' for the fall auction. The deadline for submitting auction lots is August 18, 2018. 6/25/18 - The July, 2018 issue of Coil Line has been posted on the "Members Only" section of the website, under the 'Current Issue' bar. This issue contains an 'Auction Consignment Sheet' for the fall auction. The deadline for submitting auction lots is August 18, 2018. 5/26/18 - The June, 2018 issue of Coil Line has been posted on the "Members Only" section of the website, under the 'Current Issue' bar. 4/26/18 - The May, 2018 issue of Coil Line has been posted on the "Members Only" section of the website, under the 'Current Issue' bar. 3/25/18 - The April, 2018 issue of Coil Line has been posted on the "Members Only" section of the website, under the 'Current Issue' bar. This issue contains an order form for Catalog Committee Publications. 2/26/18 - The March, 2018 issue of Coil Line has been posted on the "Members Only" section of the website, under the 'Current Issue' bar. This issue contains the lots for the Spring Auction, plus a bid sheet and an order form for Catalog Committee Publications. All auction bids MUST be in the hands of the Auction Director by Sunday, March 31, 2018. 1/23/18 - The February, 2018 issue of Coil Line has been posted on the "Members Only" section of the website, under the 'Current Issue' bar. Those members who elected to receive Coil Line electronically will receive the URL soon. Members can also access the current issue, and all past issues of Coil Line through the "Members Only" section of the website. Non-Members have access on the website to all Coil Line issues except the last three years. 12/26/17 - The PNC3 club meeting at the ORCOEXPO Stamp Show will be held on Saturday, January 13th from 11:00 a.m. until 1:00 p.m. in the Board Room of the Hotel Fullerton. The hotel is located at 1500 South Raymond Dr., Fullerton, California 92831. To get there, exit the CA-91 freeway at Raymond Dr., go north one block, then turn right on E. Burton St. Show hours are Friday and Saturday, 10: a.m. to 6 p.m., and Sunday, 10 a.m. to 4 p.m.
More information is available on the show's website at http://www.stampshows.com/fullerton_sp.html. Admission and parking are free. 12/22/17 - The January, 2018 issue of Coil Line has been posted on the "Members Only" section of the website, under the 'Current Issue' bar. Non-Members have access on the website to all Coil Line issues except the last three years. 11/24/17 - The December, 2017 issue of Coil Line has been posted on the "Members Only" section of the website, under the 'Current Issue' bar. This issue contains an 'Auction Consignment Sheet' for the Spring auction, and a Dues Renewal Form. The deadline for submitting auction lots is January 13, 2018. ALL members, including Life Members, are encouraged to send in the dues renewal form asap, unless you have already done so. The dues for 2018 have been reduced for those members receiving Coil Line electronically. Those members who elected to receive Coil Line electronically will receive the URL soon. Members can also access the current issue, and all past issues of Coil Line through the "Members Only" section of the website.Non-Members have access on the website to all Coil Line issues except the last three years. 11/1/17 - A new counterfeit stamp has been found on eBay. This time a coil issue after the 2017 U.S. Flag Stamp. The labels on the rolls are marked “BCA”, but the label on the tray of 50 rolls is marked “APU”. In the image, the real strip is on top. When comparing the two strips, it is obvious that the fake strip is wider. The counterfeit stamps are 1.0 mm wider than the BCA stamps. The coils and wrappers are also wrapped the wrong way. I will have more information about these stamps in an upcoming issue of Coil Line. 10/24/17 - The November, 2017 issue of Coil Line has been posted on the "Members Only" section of the website, under the 'Current Issue' bar. This issue contains an 'Auction Consignment Sheet' for the Spring auction, and a Dues Renewal Form. The deadline for submitting auction lots is January 13, 2018. ALL members, including Life Members, are encouraged to send in the dues renewal form asap. The dues for 2018 have been reduced for those members receiving Coil Line electronically. 9/22/17 - The October, 2017 issue of Coil Line has been posted on the "Members Only" section of the website, under the 'Current Issue' bar. This issue contains an 'Auction Bid Sheet' for the fall auction. The deadline for submitting bids is October 31, 2017. Those members who elected to receive Coil Line electronically will receive the URL soon. Members can also access the current issue, and all past issues of Coil Line through the "Members Only" section of the website. Non-Members have access on the website to all Coil Line issues except the last three years. 8/21/17 - The September, 2017 issue of Coil Line has been posted on the "Members Only" section of the website, under the 'Current Issue' bar. Those members who elected to receive Coil Line electronically will receive the URL soon. Members can also access the current issue, and all past issues of Coil Line through the "Members Only" section of the website. Non-Members have access on the website to all Coil Line issues except the last three years. 8/7/17 - On September 1, 2017 the U.S. 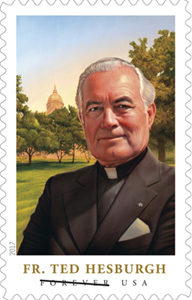 Postal Service will issue a Father Theodore Hesburgh First-Class Forever self-adhesive stamp in coils of 50. This item will only be available from Stamp Fulfillment Services in Kansas City. To order use item number 799400. The cost is $24.50 per coil of 50. The same design will be available in a pane of 20 stamps at your local post office. 8/6/17 - On August 16, 2017 the U.S. Postal Service will issue ‘Flowers from the Garden’ First-Class Forever stamps with four designs in self-adhesive coils of 3,000 (Item 755000) and 10,000 (Item 760100). Strips of 25 with a plate number are now available from Stamp Fulfillment Services in Kansas City. 7/24/17 - The August, 2017 issue of Coil Line has been posted on the "Members Only" section of the website, under the 'Current Issue' bar. This issue contains an 'Auction Consignment Sheet' for the fall auction. The deadline for submitting auction lots is August 15, 2017. Those members who elected to receive Coil Line electronically will receive the URL soon. Members can also access the current issue, and all past issues of Coil Line through the "Members Only" section of the website. Non-Members have access on the website to all Coil Line issues except the last three years. 6/23/17 - The July, 2017 issue of Coil Line has been posted on the "Members Only" section of the website, under the 'Current Issue' bar. This issue contains an 'Auction Consignment Sheet' for the fall auction. The deadline for submitting auction lots is August 15, 2017. Those members who elected to receive Coil Line electronically will receive the URL soon. Members can also access the current issue, and all past issues of Coil Line through the "Members Only" section of the website. 5/22/17 - The June, 2017 issue of Coil Line has been posted on the "Members Only" section of the website, under the 'Current Issue' bar. Those members who elected to receive Coil Line electronically will receive the URL soon. Members can also access the current issue, and all past issues of Coil Line through the "Members Only" section of the website. 4/22/17 - The May, 2017 issue of Coil Line has been posted on the "Members Only" section of the website, under the 'Current Issue' bar. Those members who elected to receive Coil Line electronically will receive the URL soon. Members can also access the current issue, and all past issues of Coil Line through the "Members Only" section of the website. 3/21/17 - The April, 2017 issue of Coil Line has been posted on the "Members Only" section of the website, under the 'Current Issue' bar. This issue contains an order form for Catalog Committee Publications (This order form is a duplicate from last month). Those members who elected to receive Coil Line electronically will receive the URL soon. Members can also access the current issue, and all past issues of Coil Line through the "Members Only" section of the website. 2/20/17 - The March, 2017 issue of Coil Line has been posted on the "Members Only" section of the website, under the 'Current Issue' bar. This issue contains the lots for the Spring Auction, plus a bid sheet and an order form for Catalog Committee Publications. Those members who elected to receive Coil Line electronically will receive the URL soon. Members can also access the current issue, and all past issues of Coil Line through the "Members Only" section of the website. 2/12/17 - We have updated the 'Plate Number Coils Singles Album' pages. Corrections have been made to pages 55 and 131. These album pages can be found by clicking the 'Reference Tab' on the left. 1/29/17 - We are happy to announce that we can now include a link to Richard Nazar's publication, "The 1995 Plate Number Coil Catalog", and various other articles written by Richard. A button titled "Nazar Publications" can be found in the "Reference" section on the left. The link page to Richard's publications can also be found by going to Nazar Publications. 1/21/17 - The Febuary, 2017 issue of Coil Line has been posted on the "Members Only" section of the website, under the Current Issue bar. Those members who elected to receive Coil Line electronically will receive the URL soon. Members can also access the current issue, and all past issues of Coil Line through the "Members Only" section of the website. 1/1/17 - HAPPY NEW YEAR! We are happy to announce that a 'power point presentation' on "PNC Singles, Rarities and EFO's" by Dan Forgues has been posted on the web site. To find the presentation, go to the 'Reference Tab' on the left and then click the "PNC Singles, Rarities and EFO's" tab. The power point presentaton is contained in eleven (11) pdf files. We have updated the 'Plate Number Coils Singles Album' pages to include 2015 and 2016 issues. These album pages can be found by clicking the 'Reference Tab' on the left. 12/30/16 - We are experiencing some problems with the web site. We are currently working on the problem. It might take a day to correct. Please bear with us. 12/19/16 - The January, 2017 issue of Coil Line has been posted on the "Members Only" section of the website, under the Current Issue bar. This issue has an Auction Consignment Form for the Spring Auction. Those members who elected to receive Coil Line electronically will receive the URL soon. Members can also access the current issue, and all past issues of Coil Line through the "Members Only" section of the website. 11/20/16 - The December, 2016 issue of Coil Line has been posted on the "Members Only" section of the website, under the Current Issue bar. This issue, under the editorship of Vickie Canfield Peters, has the "Dues Renewal". If you did not do so last month, please print out the sheet and send in your dues while you are thinking about it. Those members who elected to receive Coil Line electronically will receive the URL soon. Members can also access the current issue, and all past issues of Coil Line through the "Members Only" section of the website. 10/21/16 - The November, 2016 issue of Coil Line has been posted on the "Members Only" section of the website, under the Current Issue bar. This issue, the second under the editorship of Vickie Canfield Peters, has the "Dues Renewal". Please print out the sheet and send in your dues while you are thinking about it. Those members who elected to receive Coil Line electronically will receive the URL soon. Members can also access the current issue, and all past issues of Coil Line through the "Members Only" section of the website. 9/25/16 - The October, 2016 issue of Coil Line has been posted on the "Members Only" section of the website, under the Current Issue bar. This issue, the first under the editorship of Vickie Canfield Peters, has the fall auction lots and a bid sheet. Bids must be in the hands of the Auctioneer by October 29, 2016. Those members who elected to receive Coil Line electronically will receive the URL soon. Members can also access the current issue, and all past issues of Coil Line through the "Members Only" section of the website. .
9/10/16 - A current Membership Application is available in the 'Membership' tab. 9/1/16 - The Officers page in the 'Membership' tab has been updated to show the current officers. 8/26/16 - The September, 2016 issue of Coil Line has been posted on the "Members Only" section of the website, under the Current Issue bar. This issue has the announcement of a new editor. Those members who elected to receive Coil Line electronically will receive the URL soon. Members can also access the current issue, and all past issues of Coil Line through the "Members Only" section of the website. 8/3/16 - On August 19th, the U.S. 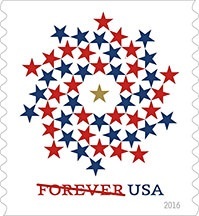 Postal Service will issue a Patriotic Spiral First-Class Forever stamp in booklets of 10 and self-adhesive coils of 10,000. Both formats will be available nationwide on August 19, and will be issued formally that day in Falls Church, VA, in booklet format, and in Kansas City, MO, in the large coil format. This festive and energetic stamp design features 50 blue and red stars spiraling around a central gold star on a white background. The idea for the design was to illustrate a community of stars protectively orbiting a central star that in an abstract sense stands for our nation's steadfast idealism and hope for a more perfect union. Antonio Alcal� of Alexandria, VA, served as art director for the project with art and typography by Polygraph, a Washington, DC, design firm. 7/26/16 - The August, 2016 issue of Coil Line has been posted on the "Members Only" section of the website, under the Current Issue bar. This issue has an Auction Consignment Sheet on the wrapper. Consignments must be in the hands of the Auctioneer by August 27, 2016. This issue also has the election results. Those members who elected to receive Coil Line electronically will receive the URL soon. Members can also access the current issue, and all past issues of Coil Line through the "Members Only" section of the website. 6/25/16 - The July, 2016 issue of Coil Line has been posted on the "Members Only" section of the website, under the Current Issue bar. This issue has an Auction Consignment Sheet on the wrapper. Consignments must be in the hands of the Auctioneer by August 27, 2016. Those members who elected to receive Coil Line electronically will receive the URL soon. Members can also access the current issue, and all past issues of Coil Line through the "Members Only" section of the website. 5/27/16 - The June, 2016 issue of Coil Line has been posted on the "Members Only" section of the website, under the Current Issue bar. This issue has the Election Ballot on the wrapper. The ballot must be postmarked by July 1, 2016. Those members who elected to receive Coil Line electronically will receive the URL soon. Members can also access the current issue, and all past issues of Coil Line through the "Members Only" section of the website. 4/26/16 - The May, 2016 issue of Coil Line has been posted on the "Members Only" section of the website, under the Current Issue bar. This issue has a 'Call for Volunteers' at our club booth at World Stamp Show NY-2016 and the Spring Auction Results on the wrapper. Those members who elected to receive Coil Line electronically will receive the URL soon. Members can also access the current issue, and all past issues of Coil Line through the "Members Only" section of the website. 3/23/16 - The April, 2016 issue of Coil Line has been posted on the "Members Only" section of the website, under the Current Issue bar. This issue has a Catalog Committee Order Form on the wrapper. This issue also has a 'Call for Nominations' and a "Call for Ballot Counters"on the wrapper. Those members who elected to receive Coil Line electronically will receive the URL soon. Members can also access the current issue, and all past issues of Coil Line through the "Members Only" section of the website. 2/26/16 - The March, 2016 issue of Coil Line has been posted on the "Members Only" section of the website, under the Current Issue bar. This issue has a Catalog Committee Order Form and an Auction Bid Form on the wrapper. The Bid Form must be in the auctioneers hands by March 31, 2016. Only members are allowed to bid in the auction. This issue also has a 'Call for Nominations' on the wrapper. Those members who elected to receive Coil Line electronically will receive the URL soon. Members can also access the current issue, and all past issues of Coil Line through the "Members Only" section of the website. 1/26/16 - The February, 2016 issue of Coil Line has been posted on the "Members Only" section of the website. This issue has a 'Call for Nominations' and information from the Treasurer and the Editor on the wrapper. Those members who elected to receive Coil Line electronically will receive the URL soon. Members can also access the current issue, and all past issues of Coil Line through the "Members Only" section of the website. 1/17/16 - A 10� Red Pears denominated self-adhesive coil stamp was issued today in Washington, D.C., with no first-day ceremony. The stamps were issued in coils of 10,000. To accomodate collectors, an unfolded strip of 500 stamps can be ordered using item #799315 from the 'caves' in Kansas City for $50. The 10� Red Pears coil has the plate number S111111 every 27th stamp in the roll. The new 10� coil stamp shows two red pears with shadows. 12/26/15 - The January, 2016 issue of Coil Line has been posted on the "Members Only" section of the website. This issue has an Auction Consignment Form for the Spring Auction. Those members who elected to receive Coil Line electronically will receive the URL soon. Members can also access the current issue, and all past issues of Coil Line through the "Members Only" section of the website. 12/11/15 - The following Coil stamp items are to be withdrawn from sale at Philatelic Fulfillment Services effective December 31, 2015, according to the Dec. 10, 2015 postal bulletin. 12/10/15 - ATTENTION EXHIBITORS: Ohio's largest stamp show, the Garfield-Perry March Party (a National World Series of Philately Show), is holding its 126th annual show on March 10-12, 2016 and is accepting applications for exhibits. Go to garfieldperry.org, click on the "March Party" tab and select "Prospectus 2016" from the drop-down menu. 11/25/15 - The December, 2015 issue of Coil Line has been posted on the "Members Only" section of the website. This issue has a Dues Renewal form. Please print it out and send your dues renewal in while you are thinking about it. This issue also has an Auction Consignment Form for the Spring Auction. Those members who elected to receive Coil Line electronically will receive the URL soon. Members can also access the current issue, and all past issues of Coil Line through the "Members Only" section of the website. 10/26/15 - The November, 2015 issue of Coil Line has been posted on the "Members Only" section of the website. This issue has a Dues Renewal form. Please print it out and send your dues renewal in while you are thinking about it. Those members who elected to receive Coil Line electronically will receive the URL soon. Members can also access the current issue, and all past issues of Coil Line through the "Members Only" section of the website. 10/21/15 -The Plate Number Coil Collectors Club will hold a regional meeting in conjunction with CHICAGOPEX 2015, on Saturday November 21st, 2015 and will begin at 11am. The show will be held Nov 20-22 at the Westin Chicago Northwest, 400 Park Blvd, Itasca, IL. The meeting will be hosted by PNC3 member Kurt Albrecht. There will be a power point presentation of Dan Forgue�s �Errors and Varieties on PNCs� as well as time for show and tell and trading. 10/6/15 - At the Catalog Committee meeting in August at Stampshow, Tom McFarland was appointed as a new member of the Committee, serving as coordinator of the Values List. Tom has been added to the committee listing on the Officers page. Scott Publishing Company has assigned numbers 5013 through 5018 to the new Spectrum Eagle stamps. A strip of 6 is 5018a. 9/26/15 - The October, 2015 issue of Coil Line has been posted on the "Members Only" section of the website. This issue has an auction bid sheet for the upcoming fall auction. Also included is a full page showing selected auction lots. The deadline for getting bids to our auctioneer is October 27th. Those members who elected to receive Coil Line electronically will receive the URL soon. Members can also access the current issue, and all past issues of Coil Line through the "Members Only" section of the website. 9/19/15 - SESCAL will be held October 3 in Los Angeles, Calif. PNC3 club members will be meeting at 12:00 noon on Saturday, October 3, 2015 at the SESCAL 2015 Stamp Exhibition. This is a wonderful get-together for those of us who live in the Los Angeles area or for those who will be traveling to the show. SESCAL will be taking place at The Hilton Los Angeles Airport Hotel, 5711 W. Century Blvd., Los Angeles, CA 90045, phone (310) 410-4000. The Exhibition will be held from Friday through Sunday, October 2-4. The PNC3 meeting will be hosted by club members Dan Forgues and John Himes. Door prizes will be given, and we should have enough to assure that everyone attending goes home with a nice item. Several informative talks are being prepared for the meeting. There will also be plenty of time for club members to ask questions about their PNCs, as well as time for trading extra material at the end of the meeting. The meeting will be held in the Newport C room of the hotel. Visitors to the meeting are always welcome. Admission is free, and a special parking rate of $9.00 is available to show attendees. Full information on the show is available at www.sescal.org. 9/2/15 - Today, September 2, 2015, in Eagleville, MO, the U.S. Postal Service� reissued the Spectrum Eagle Presort First-Class Mail� nondenominated stamp (priced at 25 cents), in six designs, in a pressure-sensitive adhesive (PSA) coil of 10,000 (Item 788500). This is a new printing by Ashton Potter. 8/28/15 - The Plate Number Coil Collectors Club will hold a regional meeting in conjunction with MILCOPEX 2015, on Saturday September 26th, 2015. The show will be held at the Crowne Plaza � Milwaukee Airport, located at 6401 S 13th St. in Milwaukee. The meeting will be hosted by Michael Mules, club Vice President and will begin at 1 pm. 8/26/15 - The September, 2015 issue of Coil Line has been posted on the "Members Only" section of the website. Those members who elected to receive Coil Line electronically will receive the URL soon. Members can also access the current issue, and all past issues of Coil Line through the "Members Only" section of the website. 7/27/15 - PNC3 member Tim Lindemuth, Manhattan, Kan., will be attending and entering his 20¢ Flag exhibit at the APS StampShow in Grand Rapids. He invites PNC3 members at the show to read and critique the exhibit's chapter on the coil stamp. He is writing a book about the 20¢ Flag's sheet, coil and booklet formats and would greatly welcome member input. He can be contacted at timlind@ksu.edu or by cell at 785-320-9001. 7/24/15 - The Annual Meeting of the Plate Number Coil Collectors Club will be held in Grand Rapids, MI in conjunction with the APS StampShow on Saturday, August 22nd. The DeVos Place Convention Center, at 303 Monroe Ave. NW, is hosting the exhibition. PNC3 will meet in Room D from 2 p.m. to 5 p.m. Also, the PNC3 Board will meet that Saturday morning from 9 a.m. to noon in the �Overlook G� room. Interested members are invited to attend	. The PNC3 Catalog Committee will hold a meeting on Friday, August 21st at the APS StampShow (announcement above), at 1 p.m. in room D. Though normally closed to non-members, this will be an open meeting for any member interested in possibly helping with committee activities. Upcoming needs are for members to help prepare the next Values List, and for assistance in assembling new chapters of the PNC3 Catalog. 7/23/15 - The August, 2015 issue of Coil Line has been posted on the "Members Only" section of the website. This issue has an auction consignment sheet for the upcoming fall auction. Those members who elected to receive Coil Line electronically will receive the URL soon. Members can also access the current issue, and all past issues of Coil Line through the "Members Only" section of the website. Members who have not yet activated their online account are encouraged to do so. Contact the Webmaster if you encounter any problems. 6/26/15 - The July, 2015 issue of Coil Line has been posted on the "Members Only" section of the website. This issue has an auction consignment sheet for the upcoming fall auction. Those members who elected to receive Coil Line electronically will receive the URL soon. Members can also access the current issue, and all past issues of Coil Line through the "Members Only" section of the website. Members who have not yet activated their online account are encouraged to do so. Contact the Webmaster if you encounter any problems. 6/16/15 - Welcome to Harold Brown as the new club historian. Harold served for many years as the Coil Line editor. His contact information is on the Officers page in the 'Membership' button. 6/13/15 - The data bases for recent stamps have all been updated. The only items still missing are the Scott numbers for the <35¢> Coastal Birds and the <22¢> Emperor Penguins, and a few scans. 6/2/15 - Yesterday, the U.S. Postal Service issued two self-adhesive coils of 100 Forever stamps for the new Postcard rate and the Additional Ounce rate effective May 31st. The <35¢> value Postcard stamps feature four different Coastal Birds. The <22¢> Additional Ounce stamps feature Emperor Penguins. 5/26/15 - The June, 2015 issue of Coil Line has been posted on the "Members Only" section of the website. Those members who elected to receive Coil Line electronically will receive the URL soon. Members can also access the current issue, and all past issues of Coil Line through the "Members Only" section of the website. Members who have not yet activated their online account are encouraged to do so. Contact the Webmaster if you encounter any problems. On May 15th we began the process of transfering the PNC3.org Domain name to the new web server. The site on the new server will look the same as it has been in the past. Since you are reading this notice you now know you have reached the new server. Beginning sometime in June we will be implementing Secure Sockets Layer (SSL) data encryption on the site. When that conversion process is complete the Web address will begin with HTTPS:// (instead of HTTP:// ). Implementing SSL will provide you with a more secure website and allow us to provide even greater value to our members. Updates to the site have resumed. We are sorry for any inconvenience you may have experienced. 5/18/15 - On June 1, 2015, the Postal Service will issue five new nondenominated stamps for�additional ounce rates. They are: for letters�at <22�>, first-class postcard at <35�>, 1-ounce nonmachineable at <71�>, 2-ounce rate at <71�>, and a 3-ounce rate <93�>. Two of the new stamps will be issued in coils of 100. The nondenominated <22�> stamp inscribed "Additional ounce" showing two adult emperor penguins will be issued in panes of 20 and coils of 100. Four different coastal birds will be pictured on nondenominated <35�> stamps for the postcard rate. These stamps will also be issued in panes of 20 and coils of 100. 5/4/15 - A 'Plate Number Coil Single Album' has been added to the "Members Only" section of the website. A button has been provided in the 'Reference' section. Frank Covey reports that "One can now purchase a partial roll of 10K Ferns issued March 27th. Item number 777315 gets you an �unfolded strip of 500�. On or about May 15th, the website will be transferred to a different server. There should little to no down time during the change over. We are sorry for any inconvenience you may experience. Once the change over is complete we will be implementing Secure Sockets Layer (SSL) data encryption on the site. Implementing SSL will provide you with a more secure website. Updates to the website will be limited until the switch over is complete. 4/26/15 - The May, 2015 issue of Coil Line has been posted on the "Members Only" section of the website. Those members who elected to receive Coil Line electronically will receive the URL soon. Members can also access the current issue, and all past issues of Coil Line through the "Members Only" section of the website. This issue contains the results of the recent club auction. Members who have not yet activated their online account are encouraged to do so. Contact the Webmaster if you encounter any problems. 4/7/15 - A PNC3 Regional Meeting will be held on Saturday, April 25th at the annual Plymouth Stamp Show (sponsored by the West Suburban Stamp Club). For the fourth straight year the show location is the Hellenic Cultural Center, 36375 Joy Road, Westland, MI. Our Website Content Mistress, Jill Ambrose, will host the meeting. The agenda includes a time for socializing as well as trading, buying, and selling PNC material. As usual, door prizes will be awarded. The meeting time is 11 a.m., which is a change from last year and the announced time in Coil Line. The Plymouth stamp show will be held Saturday April 25th from 10 a.m. to 5 p.m. and Sunday April 26th from 10 a.m. to 4 p.m.
1¢ Bobcat with 2015 date - 4672a. (10¢) Presorted Standard Stars and Stripes - Strip of 3, 4963a. The stamp with all Stars (which has plate S111) is 4962. 3/24/15 - Working with specialist Dan Forgues, the website has been updated as far as known Untagged Errors. 3/22/15 - The April, 2015 issue of Coil Line has been posted on the "Members Only" section of the website. Those members who elected to receive Coil Line electronically will receive the URL soon. Members can also access the current issue, and all past issues of Coil Line through the "Members Only" section of the website. This issue contains a new Catalog Committee Publications Order Form. Since this form is different from the one published last month, a full explanation is provided concerning the differences. Members who have not yet activated their online account are encouraged to do so. Contact the Webmaster if you encounter any problems. 3/21/15 - PNC3 Member Dealer Mike Lipson announced that a new plate number, P2222, has been found on the <49¢> Star Spangled Banner Flag Forever Coil of 100 from Ashton Potter. 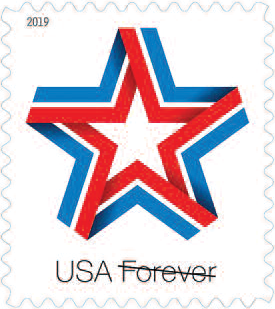 3/9/15 - A phone call today to Philatelic Fulfillment Services in Kansas City confirmed that there is no order number in the system for strips of 100 of the 3k and 10k self-adhesive 10¢ Nondenominated Stars and Stripes Presorted Standard stamps. Folded strips of 25 stamps are available. 3/7/15 - The data page for the 10k self-adhesive 1¢ Bobcat stamp with a 2015 year date issued on February 21st has been posted. Click the link to access the page. The data is now included in the menu on the left. The data page for the 3k and 10k self-adhesive 10¢ Nondenominated Stars and Stripes Presorted Standard stamps issued on February 27th have been posted. Click the link to access the page. The data is now included in the menu on the left. On March 27, 2015, in Kansas City, MO, the U.S. Postal Service will issue Ferns First-Class Mail stamps (Forever priced at 49 cents) in five designs, in a pressure-sensitive adhesive (PSA) coil of 3,000 (Item #786704) along with a reprint of the coil of 10,000 (Item #777304). The 3k coil has a 2015 date in the upper right corner of the stamps and the 10k coil has a 2014 date in the lower left corner of the stamps. Collectors wishing to order strips of 25 can use the following order numbers: Coil of 3,000 - #786703, Coil of 10,000 - #777335. Both the 3k and 10k coils will be printed by Sennett Security Products. A page with tentative data on the <49¢> Ferns from SSP has been posted. Click the link or use the menu on the left. 2/10/15 - Regional meeting at the APS AmeriStamp Expo, Riverside, California on February 14 at 3:00 p.m. The APS AmeriStamp Expo will be held February 13-15, 2015 at the Riverside Convention Center, 3637 Fifth Street, Riverside, CA 92501. Show hours are 10 a.m. to 6 p.m. Friday and Saturday, and 10 a.m. to 4 p.m. Sunday. Admission is free. PNC3 club members will be holding a regional meeting at 3:00 p.m. on Saturday, February 14 in Riverside Room 3. This is a wonderful get-together for those who live in the Los Angeles area or for those who will be traveling to the show. The meeting will be hosted by club members John Himes and Dan Forgues. We’ll fill the meeting with interesting news about the PNC collecting hobby, spend time looking at the latest PNC releases, and hear about the latest finds. Copies of Coil Line will be available for guests. Door prizes will be available, and we’ll try to bring enough along to see that everyone in attendance goes home with a nice addition for their collection. Door prizes are solicited from member dealers for the meeting. We also encourage everyone to bring along a favorite PNC item to share with those in attendance. PNC3 Website Content-Mistress Jill Ambrose will give a report on the recent additions to the website and have copies of the new “Star Flag” bound color booklet for sale. Catalog Committee Chairman Frank Covey will give a report on 'Things to Look For on the New Coil Issues', and give a demo on Printed versus Digital (Electronic) Coil Line. John Greenwood will report on 'What�s New in the Imperforate Coil Arena'. Dan Forgues will present 'My Latest Finds and 2915A FOP, The Complete Story'. John Himes will present information about what caused the �Ink Wisps� PS5 featured in the February Coil Line. 2/6/15 - On February 21st, the U.S. Postal Service will have a First Day of Issue ceremony for a third variety of the 1¢ Bobcat stamp originally issued in 2012. The stamp will be issued in self-adhesive coils of 10,000. The most notable difference will be the placement of the 2105 year date, which will be in the upper right hand corner margin. A data page has been posted with what information we currently have avaiable. It is not known if Scott Publishing will assign a catalog number for this stamp. Unfolded strips of 100 (order #786905) are avaiable from Stamp Fulfillment Services. 1/29/15 - The latest addition to the Items-For-Sale section are Official First Day Ceremony Programs for the 41¢ Beautiful Blooms Coil and Booklet stamps issued in Portland, Oregon on August 10, 2007. 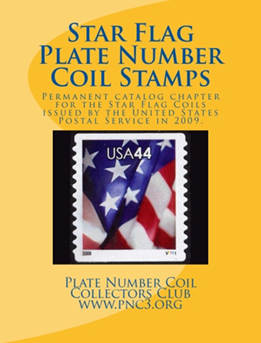 The ceremony was sponsored by the Plate Number Coil Collectors Club (PNC3) and the American Philatelic Society (APS) in conjunction with the United States Postal Service. A button has been added to the 'Items For Sale' navigation bar on the left. There are 10 configurations available, including 2 with a plate numbet coil stamp, several with both coil and booklet stamps, and a couple of complete sets with all 10 stamps. Check it out at Beautiful Blooms Programs. 1/27/15 - The Items-For-Sale section now has the PNC3 Club Lapel Pin listed. You can get to the page directly at Club Lapel Pins. Other items, including the "Star Flag" booklet are also on the same page. The current Amazon "Star Flag" discounted price as of 2/5/15 is $4.11. 1/25/15 - The February, 2015 issue of Coil Line has been posted on the 'Members Only' pages of the website. Those members who elected to receive Coil Line electronically will receive the URL soon. Members can also access the current issue through the "Members Only" section of the website. This issue contains the 2014 Coil Line Index and a full page ad for the "Star Flag" PNC3 Book described below, which is available through Amazon.com. The 2014 Coil Line index is also posted with the 2014 issues in the "Reference' section. 1/24/15 - Webmaster Allan Clapp has added some computer code that should make the web site easier to navigate for those people using Internet Explorer. 1/1/15 - A new feature has been added for 'Members Only'. Once you login to the Members Only section, you will be able to go directly to the current issue of Coil Line by clicking on the "Current Issue of Coil Line" button. Another new feature added today is a section for 'PNC3 Items For Sale' by the club. The navigation buttons are on the left. Initially, there are buttons for a 'PNC3 Book - Star Flag', which is now available through Amazon.com, and a second button for a price list / order form for current Catalog Committee Loose Leaf publications. The 'PNC3 Book - Star Flag' button can be accessed by anyone visiting the web site. The cover of our first bound color permanent catalog chapter is illustrated on the left. The list price is $7.00 plus shipping and handling. The printing and mailing is being handled by Amazon.com. The button will take you directly to the Amazon information page. Additional out-of-print loose leaf chapters are planned as bound permanent books. The second button, 'PNC3 Loose Leaf Catalog Publications', is only activated after a member logs in to the 'Members Only' section. This button takes you to an order form for current loose leaf publications, some of which are in short supply. These publications have already been advertised in Coil Line. The list will be updated as new publications are released. In addition, we are working on a page for Club Lapel Pins and a page offering the 'Beautiful Blooms Coil' First Day Ceremony Programs. These programs were prepared as part of the club sponsorship of the 'Beautiful Blooms Coil' First Day Ceremony in Portland, Oregon, back in 2007. 12/24/14 - Illustrated below are three different Stars and Stripes coil stamps that will be issued February 27 in Grapevine, Texas. The new coils are designated for use on presorted standard mail. The stamps will be issued in self-adhesive coils of 3,000 and 10,000. The three stamps probably will repeat in a continuous pattern throughout the entire coil. The proposed images show the text “USA” in red and “PRESORTED STANDARD” in a light blue along the bottom edge of each stamp. The "2015" year date is in the upper right hand corner. No word yet on the printer. 12/23/14 - The January, 2015 issue of Coil Line has been posted on the 'Members Only' pages of the website. Those members who elected to receive Coil Line electronically will receive the URL soon. Members can also access the current issue through the "Members Only" section of the website. This issue contains an Auction Consignment Form. The deadline for submission of auction lots is January 20th. 12/7/14 - Gene Trinks, Past President and Founder of our club, announced today that there will be a Regional Meeting February 21, 2015 from 10 till 11 a.m. at the ARIPEX stamp show. The club will also have a table at the show. In addition, Gene announced that the show will have a First Day of Issue ceremony for a 1¢ Bobcat stamp on February 21st at 11:30 a.m. Reports on The Stamp Forum and confirmed by the U.S. Postal Service indicate a 10k self-adhesive coil with a 2015 year date. The printer is still unknown. 11/25/14 - The December, 2014 issue of Coil Line has been posted on the 'Members Only' pages of the website. Those members who elected to receive Coil Line electronically will receive the URL soon. This issue contains a repeat of the 2015 Dues Renewal Form for those members who have not already paid their dues. There is also an Auction result report. ALL MEMBERS PLEASE BEWARE: An individual or group has been reported to APS as using the name of past APS President, John Hotchner, in a scam requiring a substantial cash deposit (which is then stolen) as basis for help in selling a collection. Members should be on guard against any such offer. There is no circumstance in which a cash deposit for being bonded should be required to sell your collection. Mr. Hotchner is not associated with any commercial venture involved in buying or selling collections, and has no involvement of any sort with this scam. PLEASE REPORT CALLS AND ANY INFORMATION: We are trying to gather as much information as we can in order to turn this over to the authorities. If you have been contacted by these people, please call the APS at 814-933-3812 or email Complaint Manager Wendy Masorti and provide any details you have. And if you have given money to these people, please be sure to contact us and provide details as we can use this information to build a case. Even if you previously contacted APS regarding this matter, please call or email AGAIN so that we can properly document your information. Several APS staff members have been receiving these calls and may not have collected all pertinent information that we are now documenting – so please call again as all calls are now being directed to our Complaint Manager, Wendy Masorti. HELP GET THE WORD OUT: Everyone please help get the word out on this so that fellow collectors are not taken advantage of. Clubs please inform all your members. 11/15/14 - I received an order today from the caves in Kansas City. I can now confirm the existence of plate C12 on the 10k coil of the Red, White & Blue Forever stamps. The new plate number is on a strip of 25 with order number 776503. I ordered 5 strips of 25 and 3 yielded an unfolded plate strip of 7, while the other two were plate strips of 5. I also ordered a strip of 100 which yielded plate C11. I'll update the data pages soon. 11/10/14 - The results of Auction #51 are posted. 10/26/14 - The November, 2014 issue of Coil Line has been posted on the 'Members Only' pages of the website. Those members who elected to receive Coil Line electronically will receive the URL soon. This issue contains the 2015 Dues Renewal Form. 9/28/14 - (Revised) A new plate pairing on plates 9 and 10 on the 20¢ Fire Pumper (Scott 1908) in a roll of 500 has been reported by Michael Mules. The 9/10 pairing was previously known in a roll of 3,000. 9/20/14 - The October, 2014 issue of Coil Line has been posted on the 'Members Only' pages of the website. Those members who elected to receive Coil Line electronically will receive the URL soon. 9/16/14 - The Spectrum Eagle stamps issued in 2012 have been found with plate V11112. The stamps are Untagged. 8/27/14 - The September, 2014 issue of Coil Line has been posted. Those members who elected to receive Coil Line electronically will receive the URL soon. 8/23/14 - Michael Mules reports that he has found plate P2222 on the 1¢ Bobcat Self-Adhesive stamp. 8/14/14 - Next Week, on Saturday, August 23rd, PNC3 will hold the Annual Board Meeting at 9 a.m. and the General Membership Meeting at 4 p.m. Both meetings will be held during the APS StampShow in Hartford, CT. The venue is the Connecticut Convention Center, 100 Columbus Boulevard, in downtown Hartford. The show runs August 21 to 24. Admission is free, but you will need to register at the show. Our booth on the bourse floor will be #SS. The Board meeting, which is open to all members will be in room 17 at 9 a.m.. The General Membership Meeting will be in room 24 at 4 p.m. Installation of new Board Members will take place during the meeting. There will be 2 PNC exhibits: One on EFO's by Robert Thompson and another on Covers by Rob Washburn. There will also be an exhibit on Postal Forgeries, including many modern ones, presented by Joann Lenz and John Hotchner. 8/1/14 - Rob Washburn announces that he has a new website at www.modcoverguy.com. 7/24/14 - The August, 2014 issue of Coil Line has been posted. Those members who elected to receive Coil Line electronically will receive the URL soon. This issue has a Consignment Sheet for the Autumn Auction. Deadline for submissions is August 16, 2014. This issue also contains the Election Results. 6/24/14 - The July, 2014 issue of Coil Line has been posted. Those members who elected to receive Coil Line electronically will receive the URL soon. This issue has a Consignment Sheet for the Autumn Auction. Deadline for submissions is August 16, 2014. 6/18/14 - PNC3 Member Dealer Mike Lipson announced today the discovery of Plate P3333 on the (5c) Art Deco Bird Stamp. The new plate number was found on cover. 6/3/14 - Scott Publishing Company has announced that the <49¢> Red, White and Blue Flag Forever Coil of 10,000 from CCL Label, Inc., issued April 25th, has been assigned Scott Numbers 4894, 4895, 4896 and 4897. A strip of 4 stamps is 4897a. The stamp with the plate number, showing Four full stars is 4896. 5/23/14 - The June, 2014 issue of Coil Line has been posted. Those members who elected to receive Coil Line electronically will receive the URL soon. This issue has the Ballot for the Election of Officers and Board members. Please print out a copy of the ballot and send it to the Ballot Committee by July 1, 2014. 5/19/14 - Scott Publishing Company has announced that the <49¢> Star Spangled Banner Flag Forever Coil of 100 from Sennett Security, issued March 3rd, has been assigned Scott # 4868. The number has been added to the Data page and incorporated into the Master List data pages. 5/10/14 - On April 25th, the USPS issued a Red, White and Blue Flags coil of 10,000. The data page is now posted. 5/8/14 - Below are the item numbers for the unfolded strips of 100 in boxes that can be purchased from the KC Caves. All of the above numbers are included in the respective data pages. 4/25/14 - The May, 2014 issue of Coil Line has been posted. Those members who elected to receive Coil Line electronically will receive the URL soon. This issue has a Catalog Order Form and the spring Auction Results. The United States Postal Service is issuing today a coil of 10,000 stamps which they have named 'Red, White and Blue'. There are four different flag designs. I have confirmed that the order number for an unfolded strip of 100 is 776505. 4/22/14 - The results of Auction #50 are posted. Note that any unsold lot can still be bought at the minimun starting bid for the next two weeks. Contact Joe Sedivy ASAP by email (PNC3auctions@aol.com) if you are interested in any of the unsold lots. 4/21/14 - The list of Purple Machine Cancels in the 'Reference Section' has been updated with the addition of "Tagging Omitted" examples discovered by Dan Forgues. 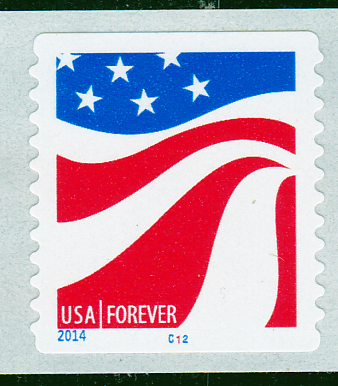 The stamps are pictured on page 92 of the July, 2013 issue of Coil Line. Coil Line issues of the last three years are only available online to members. Membership chairman, Mike Conway recently uploaded a PNC promotional video to YouTube. You can find it at PNC3 on YouTube. 3/22/14 - The following is an addition to the Glossary. We will be using this convention in all PNC3 publications in the future. Carets are used to identify the original issue price of 'Forever' stamps. In this way, the price is distinguished from the permanent value of 'Service Inscribed Stamps', which are designated by parentheses. 3/22/14 - The April, 2014 issue of Coil Line has been posted. Those members who elected to receive Coil Line electronically will receive the URL soon. This issue contains a Catalog Order Form. 3/18/14 - Both new coils issued in March, the (49¢) Star Spangled Banner Flag Forever Coil of 100 from Sennett Security and the (49¢) Ferns Forever Coil of 10,000 from CCL Label have been posted in the 2014 New Issues section, within the 'PNC Data' section. In addition, the Flag Coil is listed in the Flags category and the Fern Coil is listed in the Fauna & Flora category. At this time neither have a stamp illustrated. I'm waiting to receive my shipment. I confirmed yesterday that the Ferns can be ordered in Unfolded Strips of 100. The order number is 777305. 3/16/14 - An addition, shown below, was made to the Glossary, in the 'Reference' section, concerning the company which bought the Avery Dennison stamp printing division. CCL Industries is the company that bought Avery's stamp printing division. It was originally founded in Toronto in 1951 as Connecticut Chemicals Limited. The company currently has three divisions, CCL Design, CCL Label and CCL Container. Its stock symbol on the Toronto Exchange is CCL. When CCL purchased Avery's stamp printing division in 2013, it employed approximately 9,800 people in 87 production facilities in 25 countries on five continents. Their corporate offices are in Framingham, Massachusetts and Toronto. CCL Label is the division of CCL Industries that is now printing U. S. Postage Stamps. They are using the prefix "C" before the plate number. 3/12/14 - A major upgrade has been made to the 'Listed By Year' category of the 'List of PNC Data Pages' in the 'PNC Data' menu buttons. All of the years, from 1981 to the present, now have the stamps listed that were issued during those years. The stamps are also listed in the appropriate topical sub-categories. With a project this large, there are bound to be typos. Please let us know if you find anything listed incorrectly. 3/1/14 - All of the data pages for all the new coil stamps issued so far this year have been posted. Go to the navigation buttons on the left and click 'PNC Data'. Then click on 'List of PNC Data Pages'. After that click on 'Listed By Year', and then 'New Stamps 2014'. 2/25/14 - The March, 2014 issue of Coil Line has been posted. Those members who elected to receive Coil Line electronically will receive the URL soon. This issue contains the Spring Auction Lots and a Bid Sheet. Bids are due by March 31st. You must be a member to bid. This issue also has a new Catalog Order Form. 1/29/14 - In a last minute turn of events, the 49¢ Fern coil of 10,000 announced by the U. S. Postal Service as a forever stamp, actually has been issued as a denominated stamp. The first day of issue was January 27. Also issued yesterday, the 28th, was a 'Star Spangled Banner' stamp in coils of 100. 1/26/14 - The February, 2014 issue of Coil Line has been posted. Those members who elected to receive Coil Line electronically will receive the URL soon. 1/23/14 - Past President, Ronald Maifeld, was interviewed by Spotlite Radio host Marcus Edwards today. The interview runs 8 minutes and can be found by clicking the following: Spotlite Radio. After arriving at the web site, you need to go to the link that states "Spotlite Radio Presents Marcus Edwards & Guests on 1/23/2014". After that, click on the blue 'time' arrow (below the microphone), wait for it to load, and then find the 153.0 time slot near the right side. The interview begins there. 1/13/14 - On January 2nd, the United States Postal Service issued a reprint of the 4¢ Water-Activated Chippendale Chair stamp. The design's original printing was in 2007 by Sennett Security Products and had an S1111 plate number. The original printing had a 2007 date in the lower left corner while the reprint has a 2013 vertical date in the upper left corner. The reprint from Ashton Potter has P1111 plate numbers every 24 stamps along the roll. The original printing had pink back numbers, but there are none on this issue. It was issued in rolls of 10,000. However, unfolded strips of 100 can be ordered from Philaterlic Fulfillment in Kansas City (Item # 705605). The first distribution in small brown boxes has small hole perforations. 1/5/14 - The data page for the (10�) Snowflakes Presorted STD 10K Coil has been posted. 1/4/14 - USPS Ordering numbers follow for the Water-Actived Sennett Security Coils sold by Stamp Fulfillment Services in unfolded strips of 100. * 3¢ Silver Coffeepot (Reprint 2013) - USPS Order # 782915 - This has been reported with plate S2222. * 10¢ American Clock (2013) - USPS Order # 784305 - This has been reported with plate S2222. The following is a Self-Adhesive Ashton Potter Coil also sold in strips of 100. Note: I ordered 8 strips of 25 (USPS Order #789803) of the (10¢) Snowflakes Presorted STD and received eight rolled, unfolded strips in a small box. 12/22/13 - The January, 2014 issue of Coil Line has been posted. Those members who elected to receive Coil Line electronically will receive the URL soon. This issue contains an Auction Lot Consignment Form. Lots must be in the hands of the auctioneer by January 25, 2014. 12/7/13 - The PNC3 website now supports mobile devices! Click on the 'Go to the Mobile Site' button on the left or use pnc3.org/mobile. I'm happy to announce that Richard Nazar has posted his "1995 PNC Catalog" online. The URL is at Nazar Catalog. This link will take you to his site and then you can click on the catalog link. The catalog is in PDF format and is quite large and takes a while to load. 11/26/13 - The December, 2013 issue of Coil Line has been posted. Those members who elected to receive Coil Line electronically will receive the URL soon. This issue contains a 2014 Dues Renewal Form. 10/25/13 - The November, 2013 issue of Coil Line has been posted. Those members who elected to receive Coil Line electronically will receive the URL soon. This issue contains a 2014 Dues Renewal Form and a Catalog order form. 10/3/13 - The PNC3 website now supports mobile devices! You will find the new site at pnc3.org/mobile. This is the first time I (Allan) have built mobile support for a website. So please let me know how I did and what I need to do in order to improve the system. 9/26/13 - The October, 2013 issue of Coil Line has been posted. Those members who elected to receive Coil Line electronically will receive the URL soon. This issue contains the fall auction bid sheet and a Catalog order form. 8/26/13 - The September, 2013 issue of Coil Line has been posted. Those members who elected to receive Coil Line electronically will receive the URL soon. 8/9/13 - Tomorrow, Saturday the 10th, PNC3 will hold the Annual Board Meeting at 9 a.m. and the General Membership Meeting at 4 p.m. Both meetings will be held during the APS StampShow in Milwaukee, WI. The venue is the Wisconsin Center in downtown Milwaukee. 8/8/13 - At the annual Media Briefing today held at the APS StampShow in Milwaukee, WI, the Postal Service announced their plans to issue a PSA 'Snowflakes' Presorted Standard rate coil of 10,000 in November. 7/27/13 - The August, 2013 issue of Coil Line has been posted. Those members who elected to receive Coil Line electronically will receive the URL soon. This issue contains an Auction Consignment Form that can be duplicated and sent in with your auction lots. 7/26/13 - After a week since going live with the revamped web site, we have fixed the majority of the broken links. We only have a few minor trouble spots. Please note that the 2011, 2012 and 2013 issues of Coil Line have been moved to the "Members Only" area and will not be available online until we set up a password program. If there is an urgent need for a particular issue, please contact myself or Frank Covey. 7/18/13 - We are going live with the revamped site tonight. Since we have done a massive overhaul, expect some broken links. Please report these and we will get them fixed. 7/5/13 - Data pages for all of the coil stamps issued in 2012 have been posted. I still need to upload pictures, but the data is there. The links are below. Data pages for the 2013 coils have been added. Need Pictures yet, and some details are tentative. The Links are below. 6/26/13 - The July, 2013 issue of Coil Line has been posted. Those members who elected to receive Coil Line electronically will receive the URL soon. This issue contains an Auction Consignment Form that can be duplicated and sent in with your auction lots. 5/30/13 - The June, 2013 issue of Coil Line has been posted. Those members who elected to receive Coil Line electronically will receive the URL soon. This issue contains an Application Form that you can share with friends and potential new members. 4/26/13 - The May, 2013 issue of Coil Line has been posted. Those members who elected to receive Coil Line electronically will receive the URL soon. This issue contains an Order form for the latest Catalog Committee offerings, and the Auction Results. 3/25/13 - The April, 2013 issue of Coil Line has been posted. Those members who elected to receive Coil Line electronically will receive the URL soon. This issue contains an Order form for the latest Catalog Committee offerings. 3/2/13 - Doug Iams reports that "I've had two reports of all 2's on the 3c Coffeepot and one report of all 2's on the 10c Clock". 2/26/13 - The March, 2013 issue of Coil Line has been posted. Those members who elected to receive Coil Line electronically will receive the URL soon. This issue contains a Bid Sheet for the Spring Auction, along with the listing of the auction lots. 1/22/13 - The February, 2013 issue of Coil Line has been posted. Those members who elected to receive Coil Line electronically will receive the URL soon. Past President Ron Maifeld will host a PNC3 Regional Meeting at the American Philatelic Society (APS) winter stamp exhibition, AmeriStamp Expo 2013 in Louisville. The meeting will be on Saturday, January 19, 2013 at 2:00 p.m. We have room L11 for two hours. The expo will be held Friday  Sunday, January 18-20 at the Kentucky International Convention Center, 221 South Fourth Street, Louisville KY 40202. The PNC3 booth will be #Z. If anyone can help staff the booth, please let Ron Maifeld know as soon as possible. 1/9/13 - Rob Washburn announces his brand new website of mostly modern US postal history, especially tough to find PNC covers. It's www.modcoverguy.com. Its confirmed! John Himes and Jeff Haas will be hosting a PNC3 club meeting at the OrcoExpo Stamp Show on Saturday, January 12, 2013. The meeting will take place at 4 p.m. in the Teak Ebony Room of the Embassy Suites, Anaheim South Hotel, 11767 Harbor Blvd. (one mile south of Disneyland, just north of Chapman Avenue), Anaheim, California 92840. Both parking and admission are free. As usual, well try to make sure there are some great door prizes for everyone who attends. Well discuss the latest news in the PNC world, and well make sure theres sufficient time for buying, selling, and trading amongst the club members at the end of the meeting. Use the box above to be notified by email when this page gets updated. Permission is granted to quote material in this web site provided that proper credit is given.